February 2017: Click the link below to download the final report of the Commission of Inquiry. The Commission of Inquiry was established under the Commissions of Inquiry Act, 1935 by the Premier, the Honourable Michael Dunkley JP, MP on February 24, 2016. The Commission has been directed to inquire into the findings of the Auditor General’s report on the Consolidated Fund for the Financial Years 2010, 2011 and 2012. Matters of particular concern are listed in Section 3 of the Auditor’s Report. You can download this report here or from the Documents section of this site. We have also posted the Commission’s Terms of Reference and a copy of the Commissions of Inquiry Act 1935 . 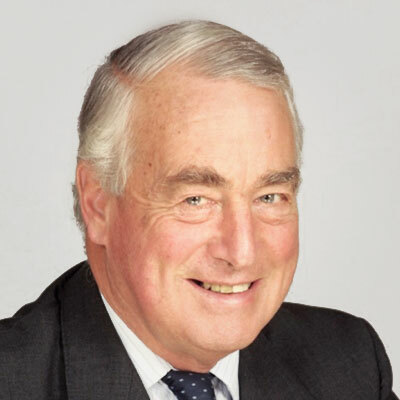 The Commission is chaired by international jurist and former Bermuda Court of Appeal judge Sir Anthony Evans. Its members are lawyer and former MP John Barritt, businesswoman Fiona Luck and businessman Kumi Bradshaw. You can read more information about the Commission’s members in the Members section of this site. The Commission has advised that critical components of its deliberations will be fairness, objectivity and independence. The Commission has planned a timeline for its investigations, including a preliminary public hearing that was held on Monday, June 27, 2016. How is the Commission conducting its investigation? The Commission of Inquiry began its review of the Auditor General’s Report on April 4, 2016. As Commissioners identify potential witnesses, names will be given to the Commission’s Counsel, Conyers Dill & Pearman. Commission’s Counsel will contact persons as directed by the Commission. Witnesses may be required to give evidence at the Public Hearings. The preliminary public hearing was held at St. Theresa’s Church Hall on Laffan Street, Hamilton on June 27, 2016. The next public hearing was held from Wednesday, September 28, 2016, to Tuesday, October 11, 2016 also at St. Theresa’s Church Hall. Under Section 9 of the Commissions of Inquiry Act 1935, the Commission of Inquiry has the power to require the attendance of witnesses and the production of documents. In appropriate circumstances, the Commission will receive evidence in private rather than at the public hearing. The Commission of Inquiry has completed its review of Section 3 of the Auditor General’s report, collected data and identified who should be called to testify appear before the Commission. The first of a series of public hearings was held on Monday, June 27, 2016 at St. Theresa’s Church Hall, Laffan Street, Hamilton. The second public hearing was held at St. Theresa’s Church Hall, Laffan Street, Hamilton from Wednesday, September 28, 2016 until Tuesday, October 11, 2016. The first public hearing was held on Monday, June 27, 2016 at St. Theresa’s Church Hall, Laffan Street, Hamilton. The second public hearing was held at St. Theresa's Church Hall, Laffan Street, Hamilton from Wednesday, 28 September 2016 until Tuesday, 11 October 2016. Sir Anthony is a former Chief Justice of the Dubai International Financial Centre Courts. He has extensive experience as an arbitrator with particular emphasis on international commercial arbitration. Sir Anthony is a former Chief Justice of the Dubai International Financial Centre Courts. He has extensive experience as an arbitrator with particular emphasis on international commercial arbitration. Before being appointed as judge, Sir Anthony practiced as a barrister, specialising in commercial cases. He became Queen’s Counsel in 1971 and a Recorder of the Crown Court in 1972. He practised as a barrister from 1959 until 1984, mostly in the Commercial Court in London but with international experience in Hong Kong, Singapore and elsewhere, including Australia where he became a member of the Victorian Bar in 1976. Since retiring from the Court of Appeal in 2000 he has practised as an international commercial arbitrator in a number of jurisdictions, including India, Switzerland, USA and Singapore, as well as in England and Wales. From 1984 until 1992, Sir Anthony was a High Court Judge in England and Wales, where he regularly sat in the Commercial Court. Sir Anthony was Lord Justice of Appeal in London from 1992 until his retirement in 2000. Aside from being in demand as a guest speaker at legal conferences around the world, he headed Britain's Data Protection Tribunal National Security Appeals Panel between 2000 and 2004. Sir Anthony was chairman of the Special Tribunal established in December 2009 by His Highness the Ruler of Dubai (Decree No. 57 of 2009) “to decide the Disputes Related to the Settlement of the Financial Position of Dubai World and its subsidiaries”. He was the inaugural Chief Justice of the DIFC Courts from 2005 to 2010. Sir Anthony is quite familiar with Bermuda, having served from 2003 to 2014 as a member of the Bermuda Court of Appeal. The Honourable John Barritt is a Consultant Attorney with MJM Limited and former Bermuda parliamentarian of 18 years experience in the Legislature. John Barritt joined MJM Limited following his retirement as a partner from the law firm Appleby Spurling and Kempe where he had a varied practice in litigation, conveyancing and trusts. Mr. Barritt has appeared before the Courts of Bermuda at every level. He is a Justice of the Peace, Notary Public and a Commissioner of Oaths. 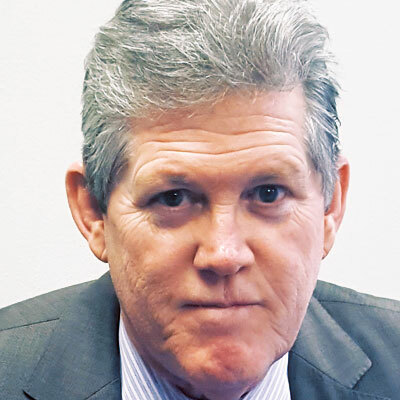 John Barritt is a former member of the Bermuda Legislature, having served as an elected Member of Parliament in the House of Assembly from 1993 until he stepped down in September 2011. Mr. Barritt served in several different capacities during his tenure: from Government Whip to Cabinet Minister to Opposition Whip and Opposition House Leader and finally, upon his retirement, Leader of the Opposition. Mr. Barritt holds a Bachelor of Arts degree from Trent University, Ontario, a Bachelor of Journalism Degree (Honours) from Carleton University, Ontario and an LLB from the University of Calgary. Alberta. Mr. Barritt was called to the Bar of the Province of Alberta and to the Bar of Bermuda in 1986. Mr. Barritt’s list of community involvement is long and he is currently serving as Chairman of the Bermuda Housing Trust for seniors. 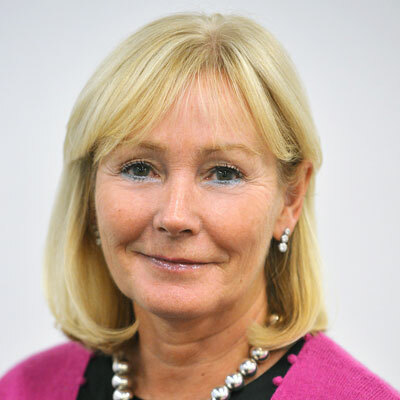 Fiona Luck served as Executive Vice President and Chief of Staff at XL Group plc (“XL”) from June 2006 until August 2008 and then Special Advisor to the Chief Executive Officer of XL until she retired from the company in 2009. From 1999 to 2008, she served in various roles at XL, including as Executive Vice of Group Operations and Interim Chief Financial Officer. From 1997 to 1999, she served as Senior Vice President of Financial Lines and later as Executive Vice President of Joint Ventures and Strategic Alliances at ACE Bermuda Insurance Ltd. From 1983 to 1997, she served in various roles at Marsh and McLennan, Inc., including as Managing Director and Head of the Global Broking operations in Bermuda. She is currently a member of the board of directors of the Bermuda Monetary Authority where she serves as Chairman of the Audit & Risk Management Committee, and as a member of the Human Capital Committee and Non-Executive Directors Committee. She recently joined the Board of Allied World Company Assurance Holdings AG where she serves on The Enterprise and Risk Committee, Compensation Committee and Executive Committee. She previously served on the board of directors of Catlin Group Ltd from August 2012 until its merger with XL in May 2015 where she was Chair of the Compensation Committee and a member of the Audit, Investment and Nomination Committees. She also served on the Boards of Hardy Underwriting Bermuda Ltd. from 2010 to 2012 and Primus Guaranty Ltd. from 2007 to 2009. She also serves on the board of trustees of the David Shepherd Wildlife Foundation and the board of directors of Knowledge Quest. She holds a BA in Economic and Finance from the University of Manchester England and is a member of the Institute of Chartered Accountants of Scotland. Kumi Bradshaw is president of Firm Advisory Ltd. His professional experience has focused on small to mid-sized private companies in jurisdictions including Bermuda, North America and Central Europe. 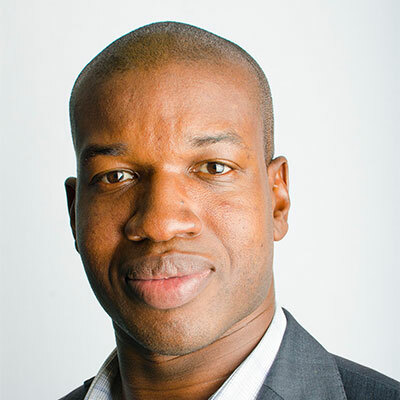 Kumi is a current board member of the Bermuda Economic Development Corporation, former accreditation board member of the Institute of Business Appraisers and former editorial board member of industry journal ‘Business Appraisal Practice’. He has authored a layperson’s guide to understanding business value - ‘Show Me the Money - Understanding the Value of your Business’ as well as a number of business advisory articles. Kumi holds a Bachelor’s degree from Dalhousie University in Halifax, Nova Scotia, Canada as well as an MBA with a focus on entrepreneurial finance from the F.W. Olin Graduate School of Business at Babson College.